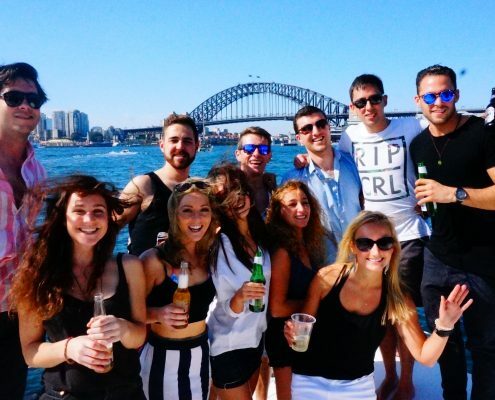 Rockfish offer private catamaran charters, perfect for a Sydney Harbour corporate cruise! 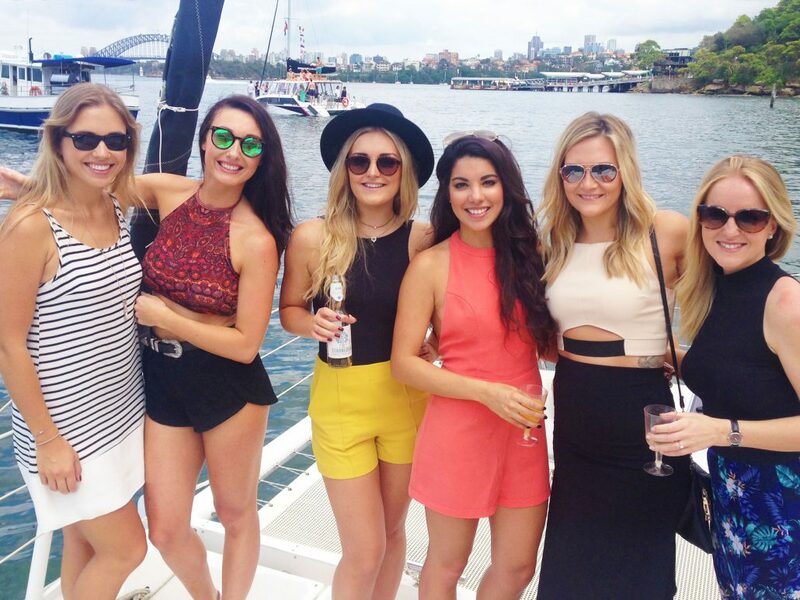 Our corporate charters are great for team-building days or entertaining clients. 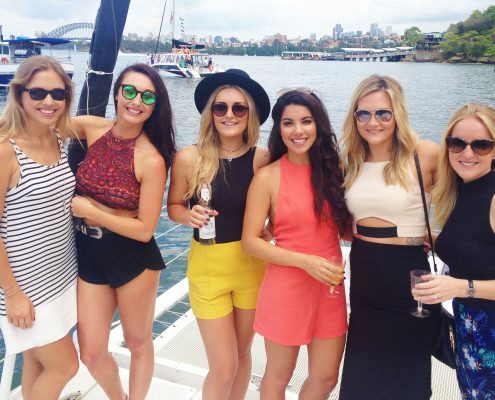 We offer ‘sail & swim’ day charters and evening cruises which take you out on to the beautiful Sydney Harbour! 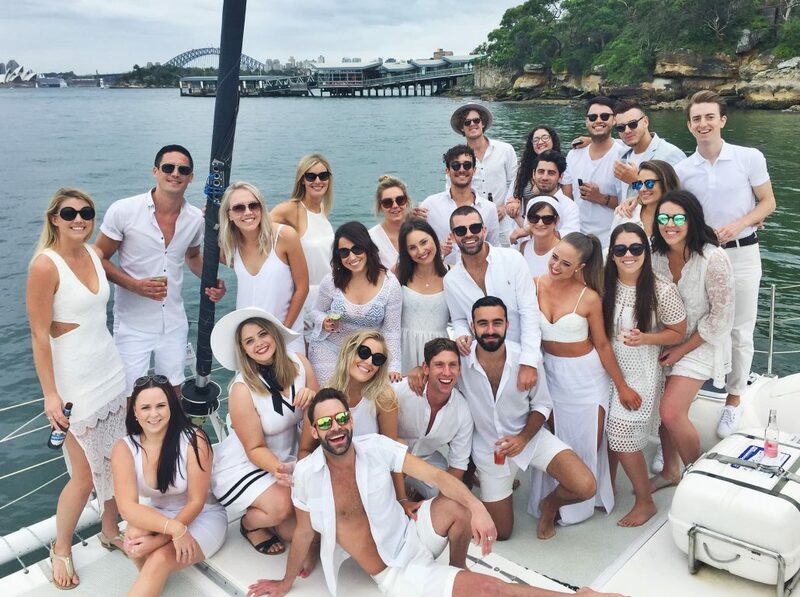 Everyone needs a day out of the office. 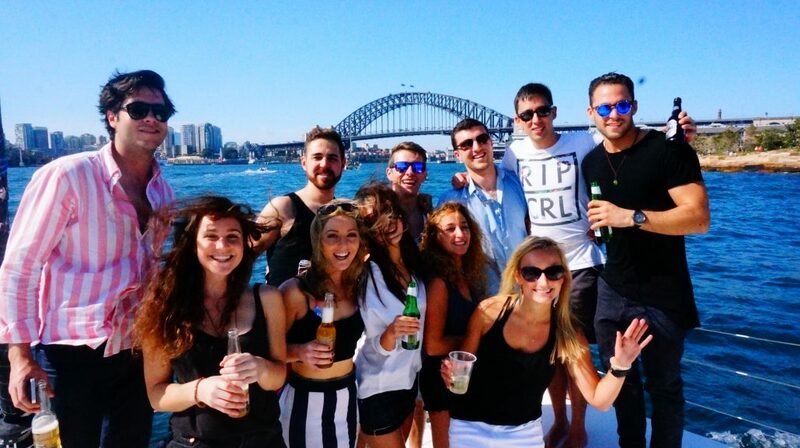 Why not get your team together an join the Rockfish crew for a beautiful day off to enjoy the views of Sydney. The large internal cabin areas accommodate up to 20-30 passengers, with plenty of extra space to relax on the nets on the bow and sunbake on the roof. 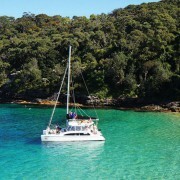 Our catamarans are fitted with a gas BBQ and eskies to keep your food and drinks chilled. For convenience, we can also provide a tasty BBQ sausage sizzle. Contact our team today to discuss the range of options that we have and how we can tailor them to your specific needs. 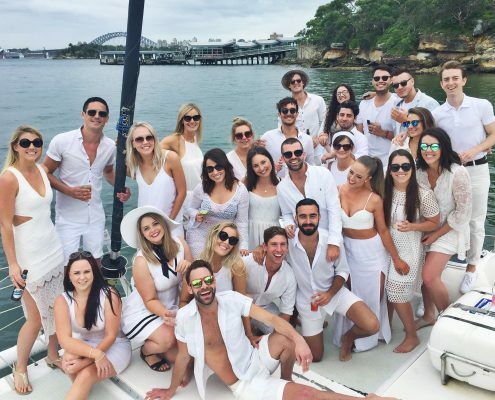 “We booked Rockfish for our staff party in April and had an absolute ball. The skipper was really helpful, laid back and let us pump the music up. We went to a nice little cove to anchor and have some snacks / drinks. 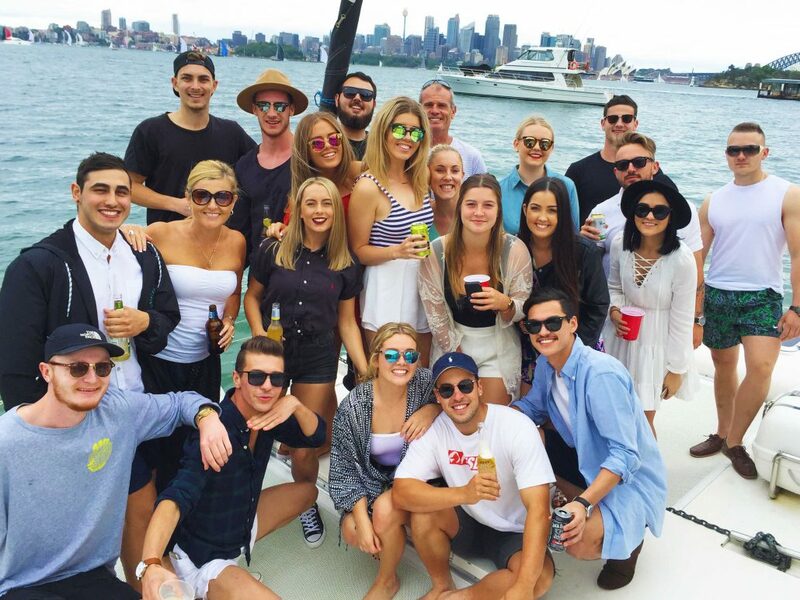 “We Hired Rockfish for our end of season cricket day out ! 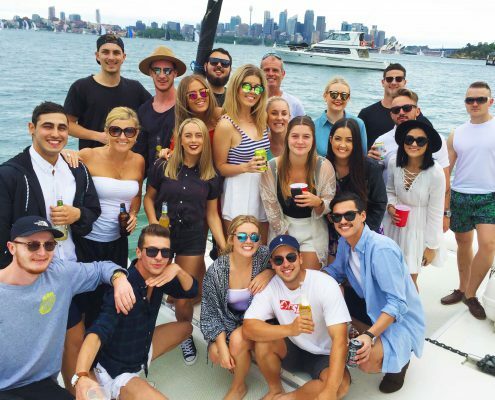 The Boat was awesome and very spacious for our group of 20, had everything you need and the staff ensured we had an amzing time , they were friendly and went out of their way to make sure we had fun ! Took us to some really nice spots in the harbour with great views and were perfect for swimming and having a relaxing beer !